The digital era offers us 1 001 possibilities. But, in this world where reality becomes virtual, consumers need a reconnexion to the real life. They prefere the handmade, the homemade and they do it themselves. To face the difficulties of professional life, the consumers need to count on permanent values. The essence of the #Granny trend finds its origin is the will to go back to the childhood golden age to soften daily life. Therefore, brands bet on the kitsch and capitalize on their heritage, their core assets. They do not hesitate to reissue their collection pieces to raise nostalgia in the consumer’s mind. 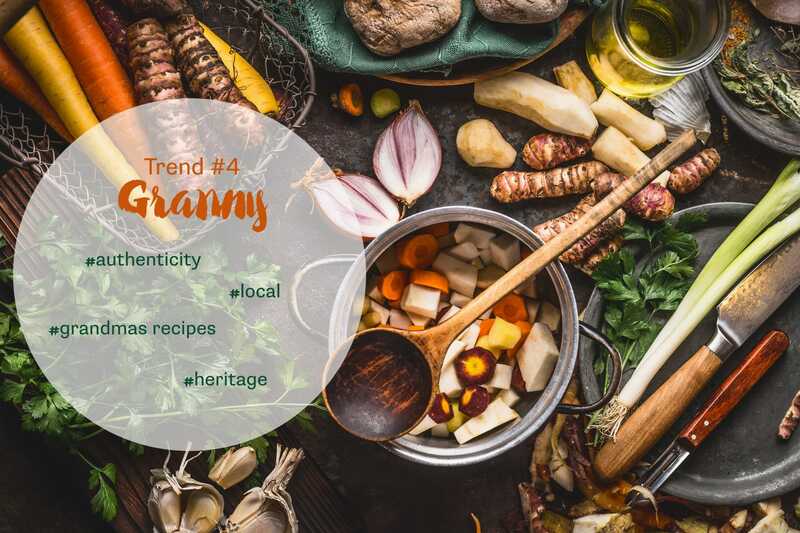 We assist to the revival of traditional French recipes such as pot-au-feu or veal blanquette, we rediscovers forgotten vegetables well-known by our grand-parents. Old is the new chic!